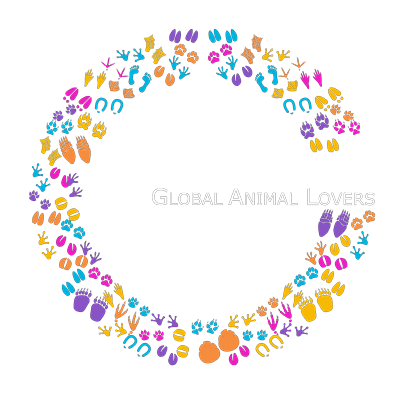 GALS (Global Animal Lovers Society) is a 100% volunteer-run society comprised of dedicated, passionate and compassionate animal lovers that all share the same goal and beliefs. We are a network of foster homes that believe the answer to curbing the pet over-population problem, their relinquishment to shelters, and the subsequent euthanizing of these animals are all preventable problems with a simple solution…SPAY and NEUTER! GLOBALLY, GALS is active with promoting and volunteering at Spay and Neuter clinics, shelters and sanctuaries around the world; predominantly on the First Nations in Western Canada, and in Mexico. We volunteer our time at these clinics and collect supplies to help ensure these clinics can continue. Many of our volunteers spend time volunteering abroad while on vacations. The issue of animal overpopulation in Canada is much larger than most people realize because it is hidden; therefore we do not import animals. LOCALLY, GALS rescue animals through requests from various shelters, SPCA’s, humane societies, city pounds, owner surrenders and strays that find themselves in need of our help and place them into loving foster homes until they find their forever homes. We provide aid to animals in need, including housing, food, emergency veterinary care, etc when their guardians find themselves needing help in hard times. We also implement TNR (Trap, Neuter, Return) of feral cat colonies which is a very time and financial consuming task, but is the only way to get these wild populations under control. GALS is excited and proud to work with other like-minded groups and individuals to “FIX” the global pet overpopulation problem by getting to the root of the problem! Working together, we can win this battle! We are core volunteers with the Alberta Spay Neuter Task Force and Canine Action Project whom both hold the same beliefs. We rely completely on fundraising events and adoptions fees to cover our ever-growing vet bills. You can be sure that all donations go directly toward the care of the animals and are used for items such as veterinary care; spaying and neutering, vaccinations, parasite control, emergency care and related supplies and expenses. We operate as a network of foster homes to shelter and care for our animals and therefore do not have the overhead expense of operating a shelter facility. GALS does not currently have charity status, nor do we receive any government assistance, but many of our partners do. Please contact us and we can suggest an organization to donate to if you require a tax receipt. The numbers of animals finding themselves in shelters is staggering and there is only so much room in these buildings. Every day shelters are turning needy animals away-thus resulting in more animals being born as they have been left intact to breed, animals being abandoned, and even animals being neglected as they are no longer wanted. That is why we do what we do; we speak for those that cannot speak for themselves and have become a part of the solution to the global pet overpopulation issue! Please contact us if you would like to Get Involved; help out with fundraising efforts, suggest projects, help with animal transport, foster a dog or cat in need, socialize with the animals, etc. The possibilities are endless when a group of dedicated animal lovers come together!